California's alfalfa is a critical part of a cow’s diet, but it is known as the king of forages across the world. 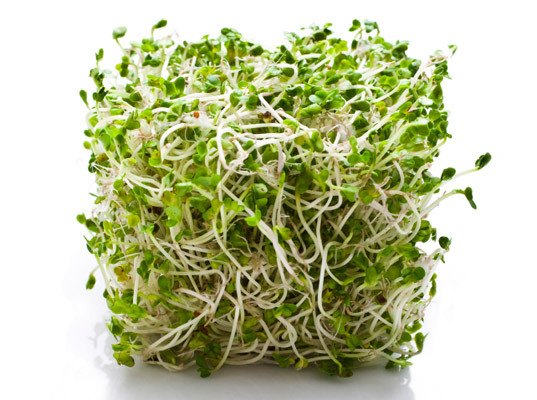 Alfalfa is deep-rooted and resists long dry periods and drought. In addition, alfalfa helps improve soil health, fixate nitrogen, and is often called one of the key ingredients in human food production. Alfalfa is a perennial crop, meaning that once planted, farmers can harvest it several times for a number of years, and in California, with abundant sun and sufficient water, we are able to produce very high quality alfalfa. Farmers in southern California, where it remains sufficiently warm, can harvest alfalfa 12 months out of the year! California's farmers are careful to manage water as effectively as possible. Learn more about how water is managed on California farms.